We'll start with a banal question- how did you get to trance and writing music? Itai: My brother connected me to music in general, he's a musician, and showed me some music softwares. To trance I arrived through my friend Aviram and later through Matan. They played me a lot of stuff and I liked it a lot. Matan: When I was 14 I heard one track I really liked and went looking for it in the store, I left the store with my first trance CD- Chakra & Edi Mis- The Promised Land- and since then I bought all I could get my hands on. 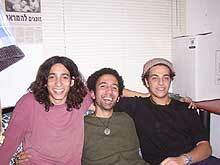 When I was 16 I started DJing in parties and then I met Aviram & Itai. We help each others, thought each other and that's how it started. Aviram: There was always music in my family. Trance I discovered on my own, nobody tried to tempt me into it or something... I heard Infected's Classical Mushroom and got infected. I met Itai through mutual friends. They told me that there's this talented guy making house & hip-hop. Later I got to know Matan and he played me a lot of music. We decided to do something together. 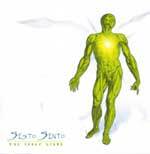 All this is history, today Sesto Sento already released a lot of tracks on compilations and about a month you've released the album- The Inner Light, tell us about it a little. Itai: It a year's work, nine tracks of diverse full on, all colors and kinds. We put a lot of work into it, we wanted it perfect. True, we could have shown few more things, but it just didn't work out. In short, it came out great. Aviram: Excellent album!!! I'm real happy with what came out, every track is an experience in itself. To tell the truth, I think that with time we get better and the next album is gonna be a killer... not that I have something against this one. Matan: I think that in a way we tried to break the wave of 145bpm full on. Everybody tries just this way to get people dancing, with high bpms. Our album does not exceed the 142bpm mark, most of it is 138-140, and it does the job very well. It breaks the image of a lot of full on music being made today without any emotion... in this album every track comes from the soul, every track got a lot of effort put in it and was critically examined. Itai: Let's start from 2-Sick, it an intensive freestyle project, no rules or borders here. It has little touches of trance... We're trying to make something new here, unusual... something funky, groovy, off beat, unexpected. We hope to reach with it outside the borders of trance, to big labels, that the big dream. Matan: I will tell you about Gataka, me and Moti Siboni, still trance, but we're trying to get as far away as we can and not to do things that repeat themselves. We're signed in Phonokol, and the album will be released about 10 months from now because we want to built it better and not to release straight after Sesto Sento's album. That's it, I hope you'll like it. Aviram: I will tell you about the Ferbi Boys. First the name: nice to meet you, I'm Ferbi! All my friends call me that and I really like techno. It's a tech-trance project, lately more techno than trance, jumpy techno for parties... you can say techno-full-on. Like in our other projects we try not to repeat things already done, and probably, though no promise, the Ferbi Boys album will be released through Hadshot Haheizar. Meanwhile we already have a single released in Hadshot. How do you work as a band? How do you manage three in front of one computer? Itai: Usually it does happen that the three of us sit together working on a track. Sometimes two work together, or even one of us, and then the three of us sit with it together. We don't have regular work habbits. I know you already played overseas lately. Where? Itai: Switzerland, Portugal, Brazil, and India. Matan: It was excellent. Every country is a different experience, different things, different customes... the main experience is seeing the world, seeing the scene in different places, the crowd... There are places where it warms the heart and others ruin it for you when you see the scene on its bad side. All and all it's experiences, things to tell the grandchildren. It there a difference between parties in Israel and overseas? Matan: Let's say it like that. The scene in Israel is great music wise. Here in every party we combine first progressive, the techno and then full on. In other countries it's not like that. It's either organizations of progressive or full on and you hear full on all night and all day, and it fucks your brain, even though I love full on. Lets say that the situation in Israel is good, because the scene here is older and the crowd knows more about the music. What are your future plans? You stay with the music for the rest of your life? And the last question, what do you think is the future of trance? Itai: Well... today's trance is pretty much ?, almost everything was done already, it's very hard to do something new. You just find yourself recycling and that annoying. I hope that the future will be brighter with people trying to innovate, that some unexplained breakthrough will come. Matan: I think that in a way we found our own style that stays away from everyone else. There are still elements that repeat themselves because it's basically a music style that has to have some things that sound the same, it's hard to innovate... We're trying to put in all sorts of funky stuff and things that were not made yet. The mind is always open, we're trying to innovate wherever we can. Well, good luck with the new album and next to come!